Leading up to one of the world’s largest international airport conferences, we take a look at how to engage all the audiences in your internal airport community using technology, and what benefits to expect. The airport community is possibly one of the most complex communication and engagement infrastructures there is. Effective coordination of all stakeholders is a crucial factor in the success of total airport management as airports strive to build community and elevate user experience in today’s changing world. Ensuring passenger safety and wellbeing, supporting key agencies, driving sales for retailers, and delivering a great occupier experience for your extended airport campus, are all areas where streamlined management and communication can make all the difference. With retail currently accounting for around 30% of the non-aeronautical revenues, keeping your retailers happy is key. Retail communities in airports are captive audiences and offer significant opportunity to drive sales through staff-to-staff offers. So an app allows you to instantly communicate offers, vacancies and other news to support their business, adding value to the lease. In today’s world, user experience is everything. Whether that’s for passengers, your stakeholders, retailers or other businesses in your airport. Airports are logistics eco-systems. Retailers want improved purchasing and delivery options supported by technology. So through tech you can manage key operational tasks such as cleaning, maintenance, deliveries and parking, quickly and efficiently through the app. 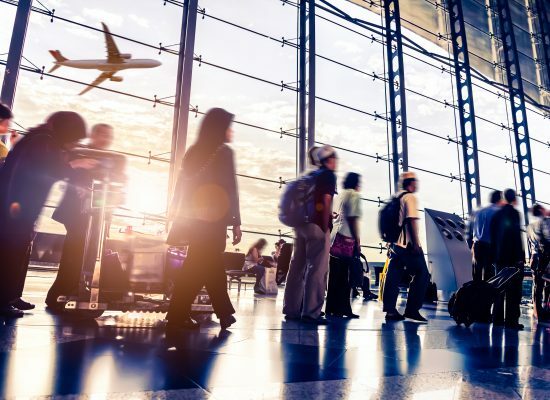 In addition to key airport security systems, mobile technology can add to the safety within your airport as another level of communication between all your stakeholders. Your stakeholders thrive on data and the intelligence they collect. 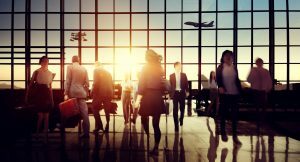 For retailers to maximise value and return on investment, airport management executives need to ensure their teams have the ability to mine, understand, analyse, and act upon the vast amount of data that’s now accessible. There is a real opportunity to enhance the ability to share data through an easily accessed platform to support better informed business decisions. Access to buildings, car parking, environmental system control, food ordering and other services in the location, all enhance the internal stakeholder’s experience. A platform that allows this kind of interaction to be intuitive, adds a lot of value to that location for the user. It is human instinct to want to be part of, and belong to a community. What’s on, travel info, special offers, new products and services are all important types of information for the people who work and live there. By making this information readily accessible, and even allowing workers to communicate with each other, creates that great feeling of community, adding value and creating loyalty to your airport. Mallcomm is a technology that does all of that, so for further information or to arrange a meeting at Passenger Terminal Expo, contact craig.maguire@toolboxgroup.global t: +44 7711 767 566.